Ian Gray, NSRI Port Elizabeth station commander, said; “At 07h00 on Friday 1 February, NSRI Port Elizabeth were alerted by members of the public claiming that they had been trying since early this morning to ref-loat a Striped Dolphin, into the sea at Kings Beach, Port Elizabeth, after reportedly finding the live dolphin adult female on the beach that morning but that the dolphin kept re-stranding herself on the beach despite their best efforts. 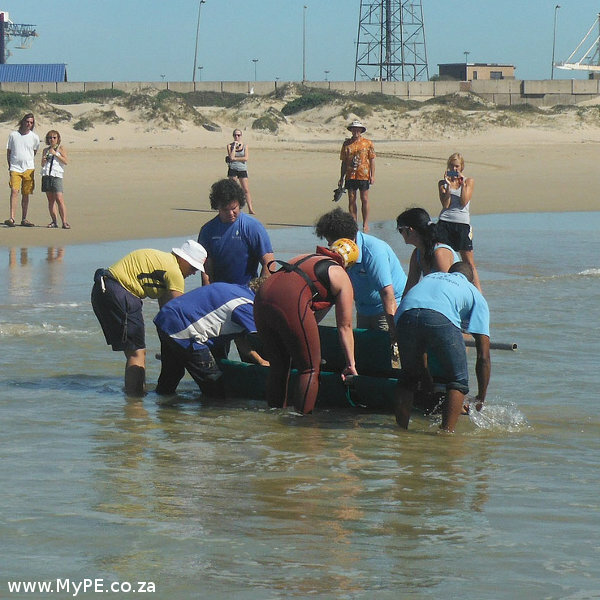 “NSRI Port Elizabeth contacted the local Bay World marine staff and the Department of Environmental Affairs – Oceans and Coasts who agreed to go to investigate. 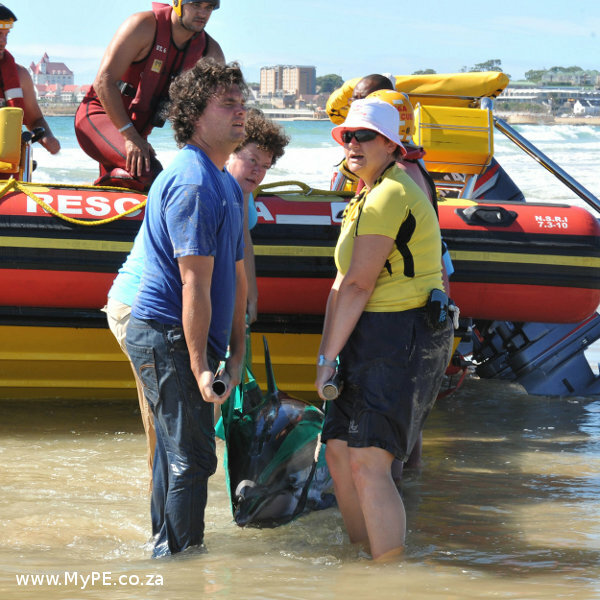 “At approximately 09h00 NSRI Port Elizabeth volunteer sea rescue duty crew were activated following a request for assistance from the authorities at the dolphin rescue effort and on arrival on-scene our NSRI sea rescue craft EIKOS RESCUER IV was used to transport the dolphin to deep water out at sea where the dolphin was released into the water from our sea rescue craft. “Marine Scientists are cautiously optimistic that the dolphin appeared to look healthy on its release into the ocean and that she may survive and they have taken samples from the dolphin for analysis. 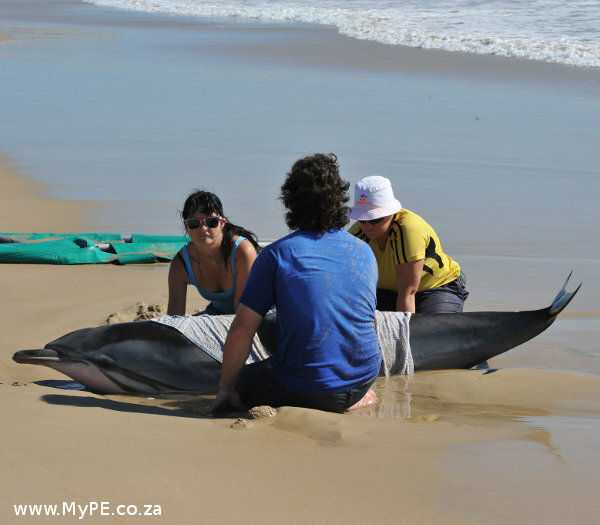 NSRI Port Elizabeth were alerted by members of the public saying that they had been trying since early on 1 February to get a Striped Dolphin back into the sea at Kings Beach. EIKOS RESCUER IV was used to transport the dolphin out at sea where she was released. Picture NSRI. MyPE Image: Helenvale Resource Centre!